It’s summer, I don’t want to spend hours in the kitchen with the oven on and I’m sure you don’t either! These are three super quick, easy and cheap dinners perfect for this time of the year. ‘Recipe’ is probably a stretch, these require mere assembling and you’re good to go! A few tips: lime, salt and coriander will make anything taste Mexican, keep tinned corn and beetroot in the pantry, a jar of jalapenos in the fridge and microwavable rice packets are a god send. Microwave the rice, then pour half the packet into a bowl. Microwave the spinach in bowl with a tiny bit of water until wilted and then stir it through the rice with the coriander and some salt and pepper. Then add smoked salmon and whatever else you like on top! For me it’s avocado, beetroot (slightly warmed in the microwave) and feta. I squeeze a generous amount of lemon juice on top and enjoy with lashings of hot sauce. Cook the chicken and capsicum in the taco seasoning according to the instructions on the packet. Tip your desired amount of kale into a bowl, add chopped coriander, salt and lime juice to taste. Then add your corn and cherry tomatoes. 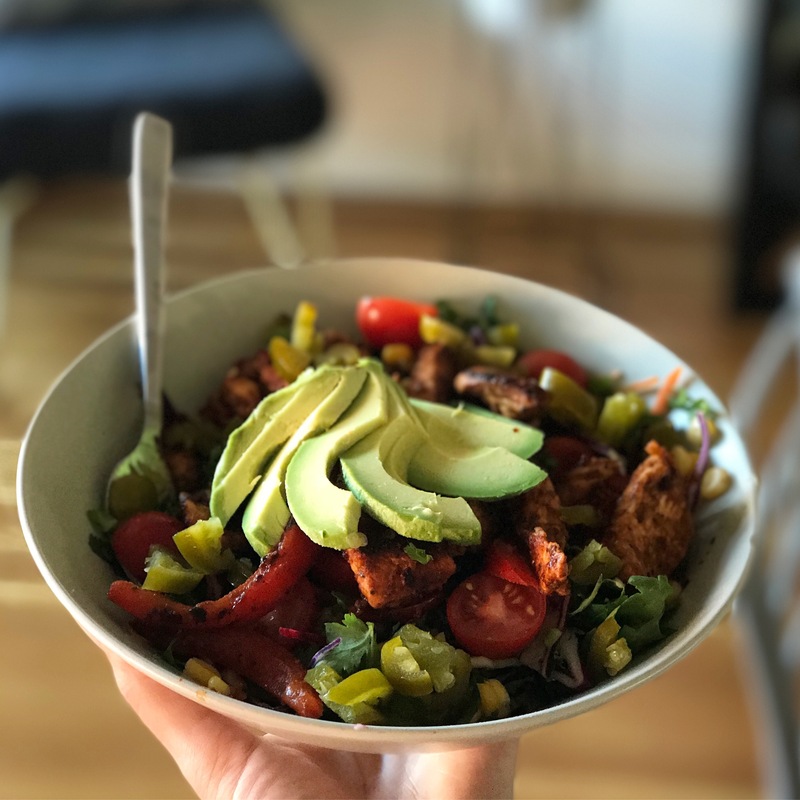 Top the salad with the chicken, chopped jalapenos and avocado. This one requires the oven- I usually make a big tray of cooked veggies (pumpkin, sweet potato, red capsicum, carrots plus whatever else I have) on a Sunday to use throughout the week. Slice the haloumi and fry in a non stick pan (use olive oil spray if you need) with the sliced onion and capsicum. 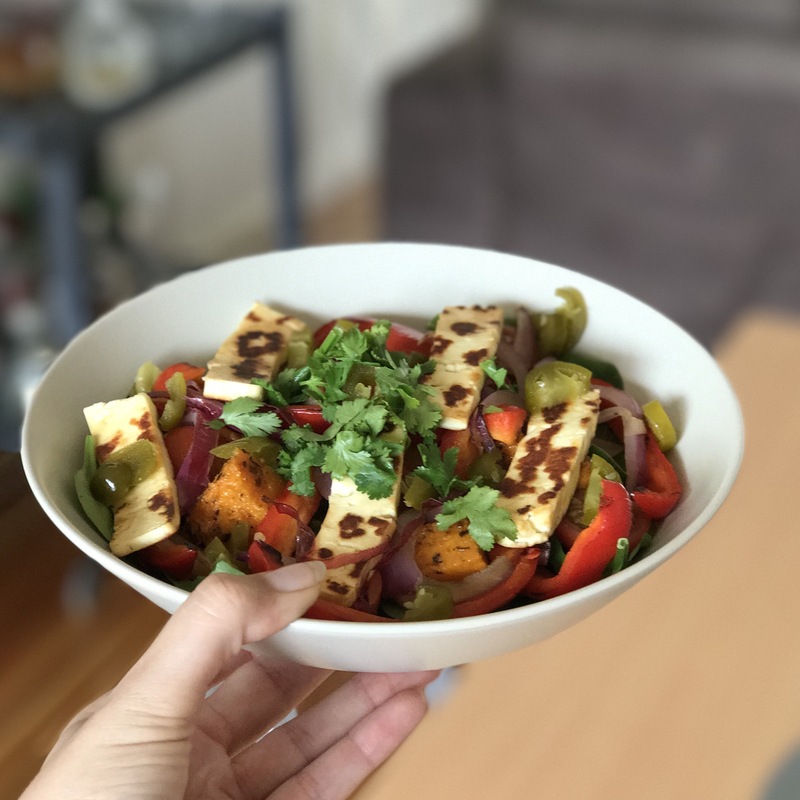 Once the haloumi is browned and the onion and capsicum are soft add them to a bowl with the spinach, cooked pumpkin, jalapenos, coriander and whatever other veggies you like. Top with dressing if that’s how you roll (I like it without). 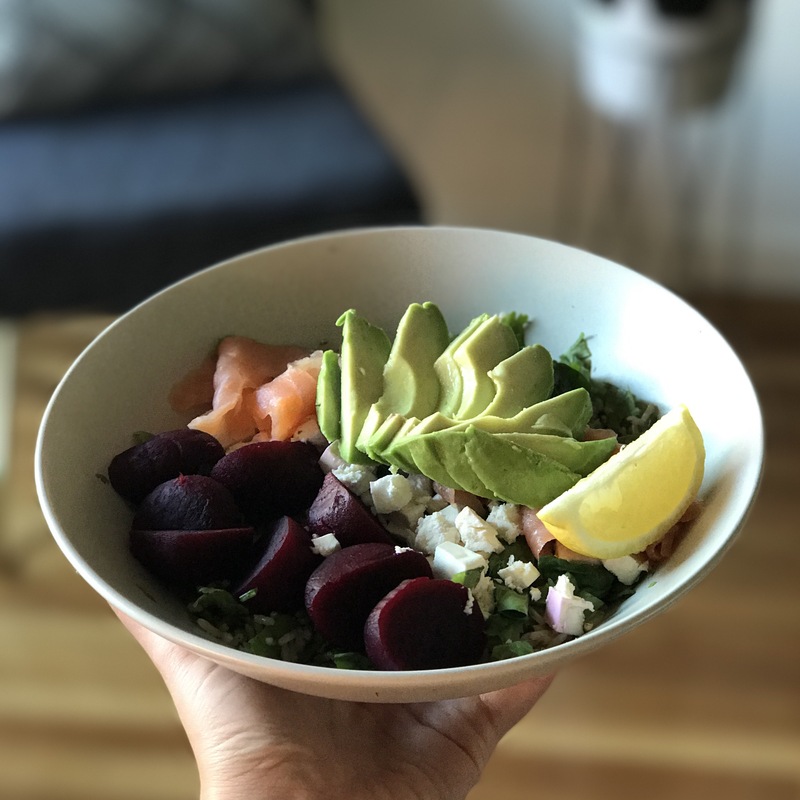 What’s your go to summer meal? Ice cream included.